Today, August 21, is the birthday of His Holiness Karekin II, Supreme Patriarch and Catholicos of All Armenians. Catholicos to the worlds 7 million Armenian Christians, His Holiness Karekin II visited Florida in 2007. 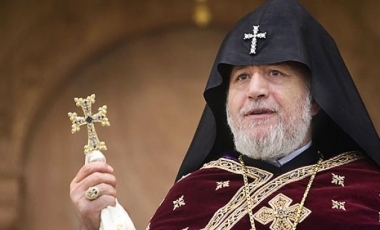 “We wish for His Holiness strength, peace, good health, many years of life, and success in all his endeavors as chief shepherd of the Holy Armenian Apostolic Church,” stated FLArmenians Communications Director Arsine Kaloustian.